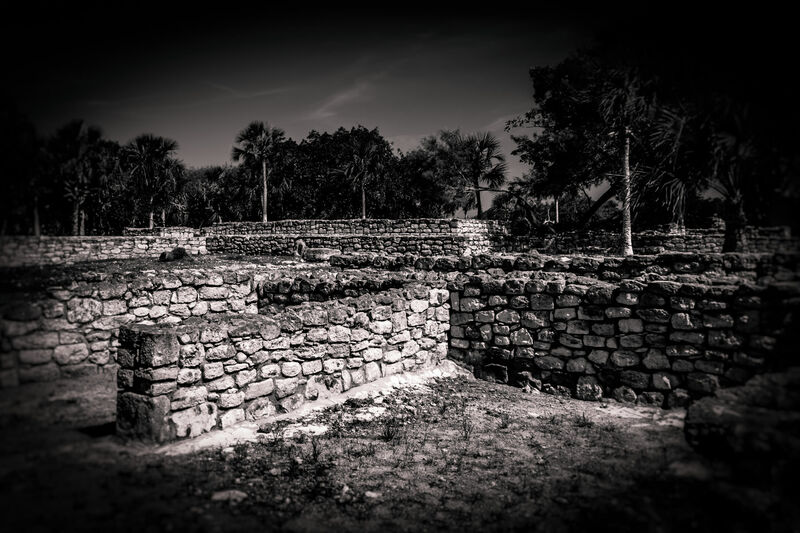 Rock walls at the ruins of the Mayan city of Xcambo in Mexico’s Yucatan. 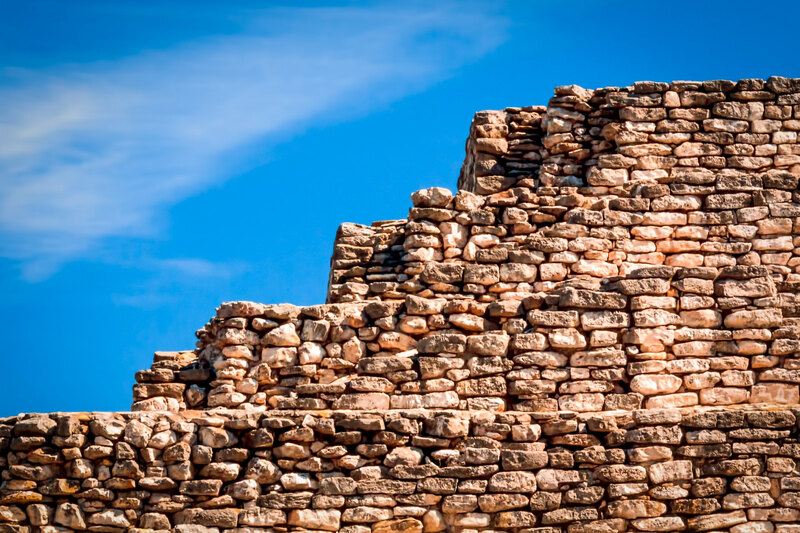 Detail of the main pyramid at the ruins of the Mayan city of Xcambo, Yucatan, Mexico. 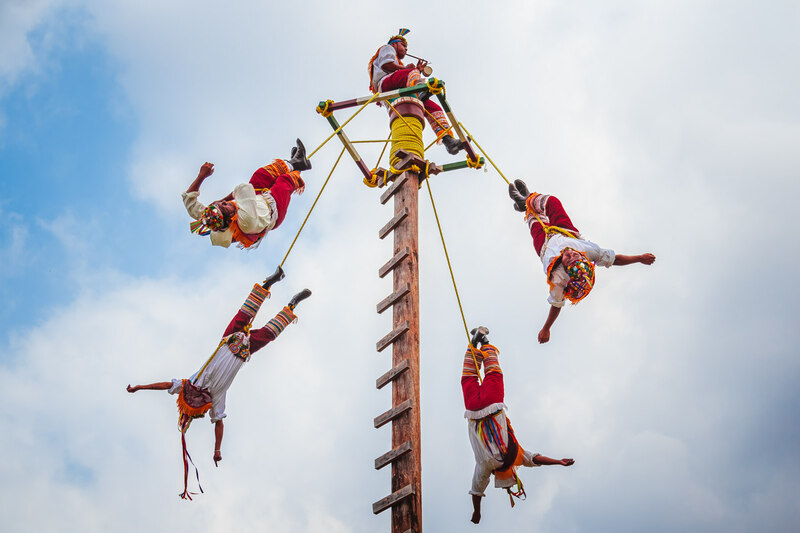 Mayans perform the traditional Danza de los Voladores (Dance of the Flyers) in San Miguel, Cozumel, Mexico. 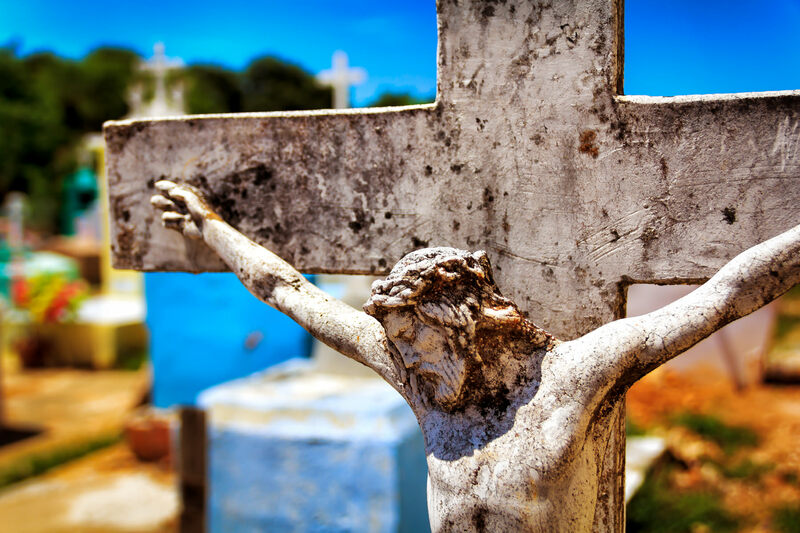 A crucifix atop a gravestone in a cemetery in the tiny Mayan town of Dzemul, Yucatan, Mexico. 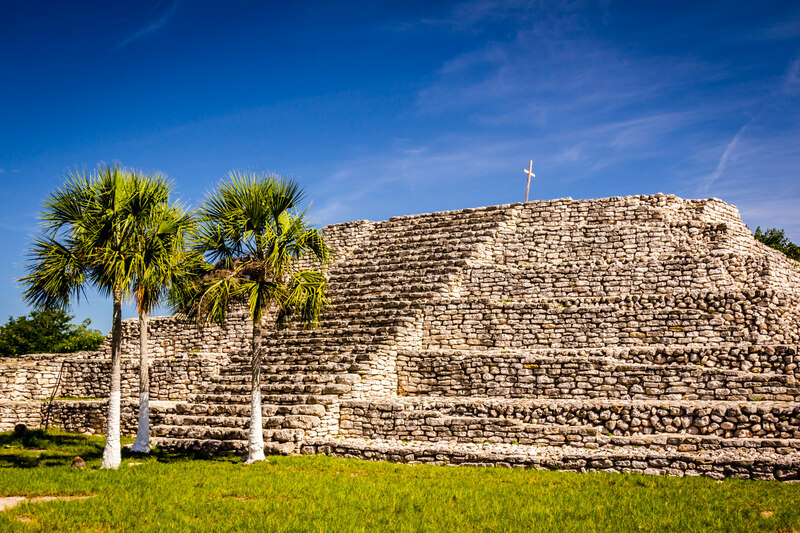 The main pyramid at the ruins of the Mayan city of Xcambo, Yucatan, Mexico. 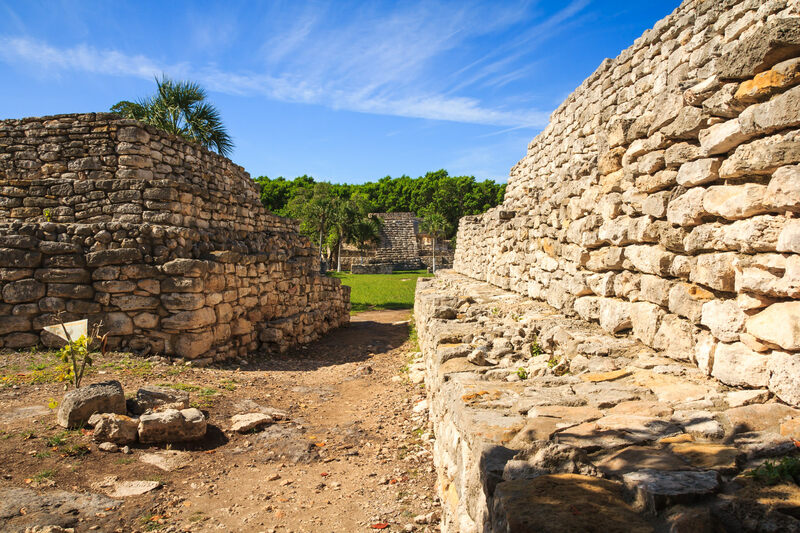 Detail of ruins at the Mayan city of Xcambo in the Mexican state of Yucatan. 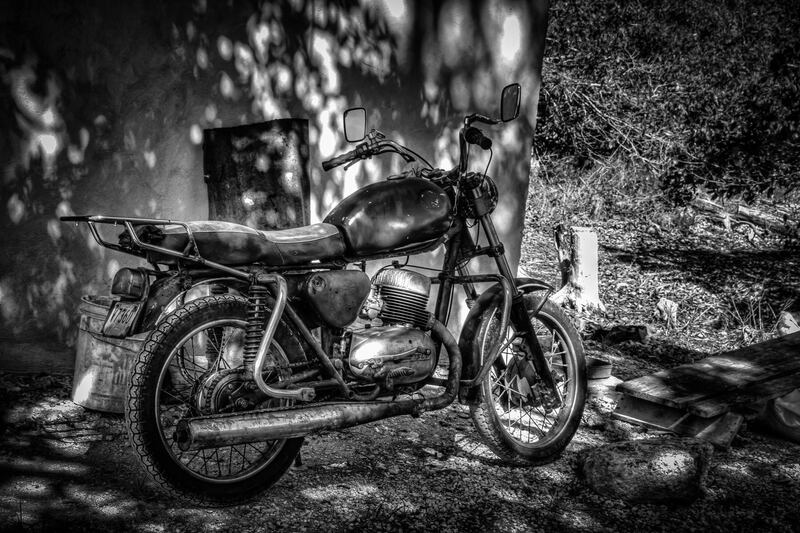 A rusted motorcycle parked outside a shed at the Mayan archaeological site of Xcambo, Yucatán, Mexico.